I truly do enjoy cooking, however, I have a few rules. 1) The recipe must be less than 10 steps, 2) It must include ingredients I can pronounce (most of the time!) and 3) It must taste good. Okay, so I’m sure everyone would agree with the third “rule,” but, still, it’s important! 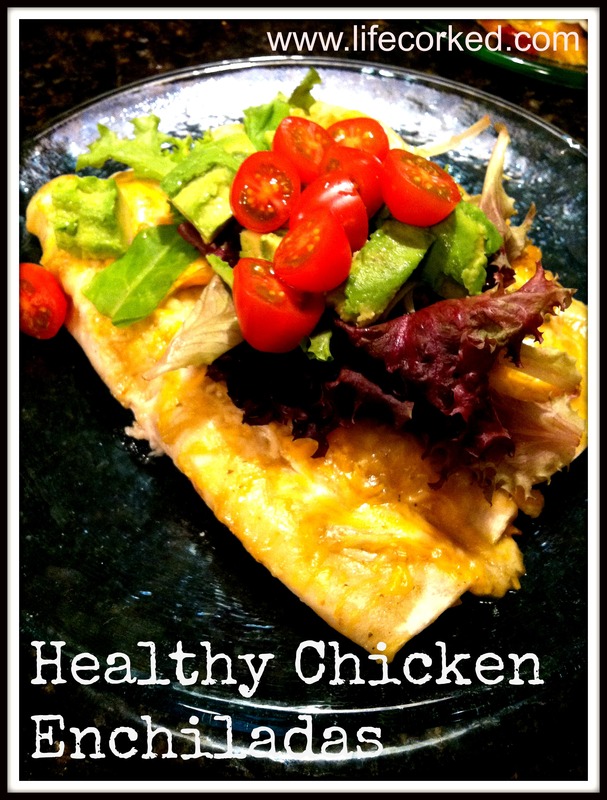 With that being said, one of my favorite go-to “easy peasy” recipes is chicken enchiladas. The great thing about this recipe is you can modify it to your taste. Mild, spicy, onions, no onions – whatever! I’m going to show you how I make it, but remember, it’s not written in stone. 1) Pre-heat oven to 350. 2) Heat a pan over medium/high heat and spray with oil. 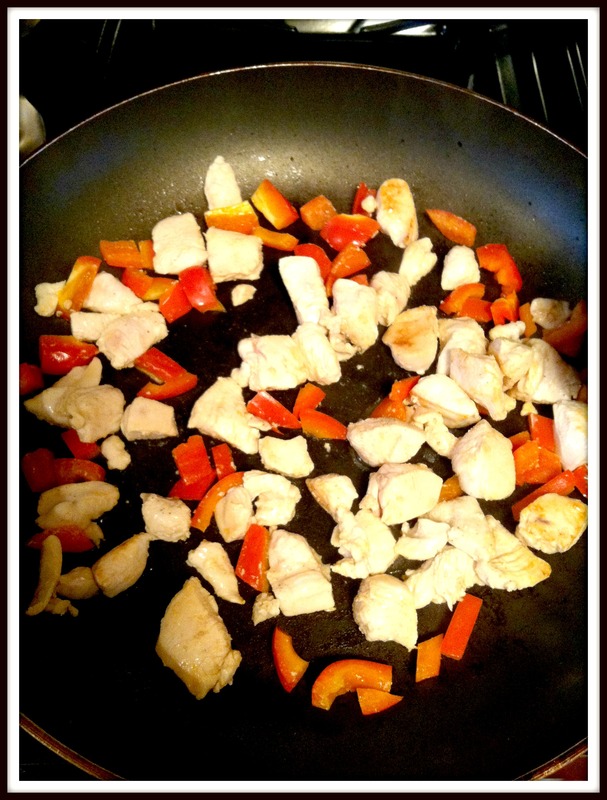 Add chicken, bell pepper and onion. Sprinkle with salt and pepper. Cook until chicken is browned and no longer pink, stirring every few minutes. Set aside. 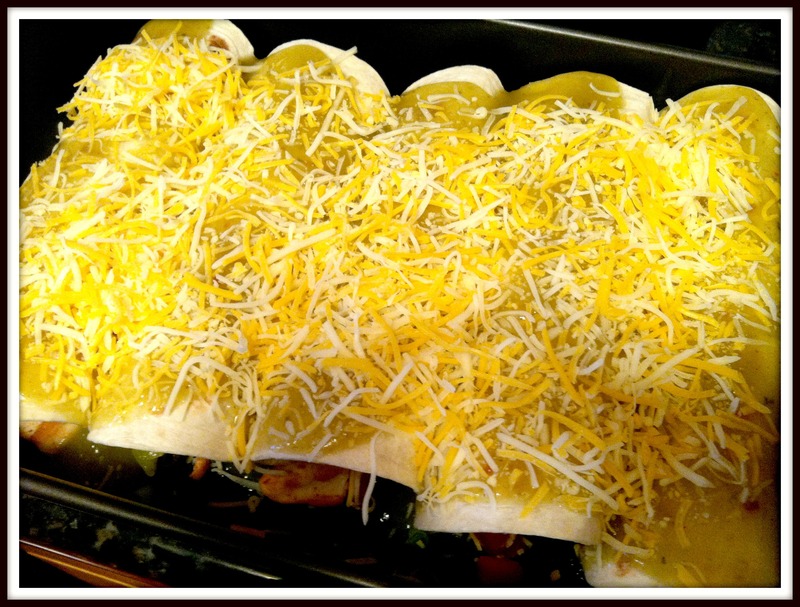 3) Set aside 1/2 cup of shredded cheese to top enchiladas. 4) Spray baking pan. Fill each tortilla with chicken mixture, olives, green chiles and shredded cheese. Make sure you have enough to divide among all six tortillas. After you fill each tortilla, roll it and place it seam side down in the baking dish. 5) Poor enchilada sauce over the tortillas. Top with remaining shredded cheese. Cover with tin foil and bake for 30 min. 6) Serve each enchilada topped with lettuce, tomatoes, avocado and sour cream. I like to add a little hot sauce too!